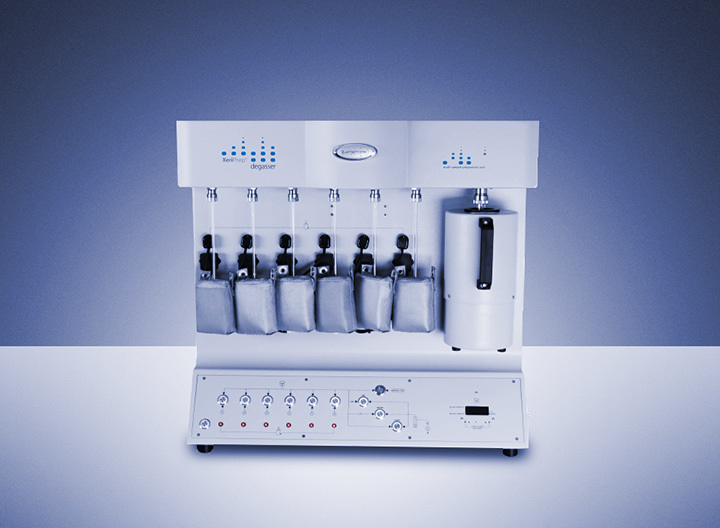 XeriPrep is the ideal degasser for R&D, commercial labs, and multi-user laboratories where flexibility in sample preparation is required to meet high-throughput workflows for different kinds of samples. Each of the six degassing ports offers an independent temperature zone, controlled via the included PC software, PrepWin, allowing for up to 20 heat ramp and soak steps to be automatically programmed. This makes it easy to meet the special sample preparation needs of highly temperature-sensitive samples. The built-in cold trap and optional turbo vacuum pump maximizes vacuum performance and ensures rapid and complete sample preparation of all types of materials.